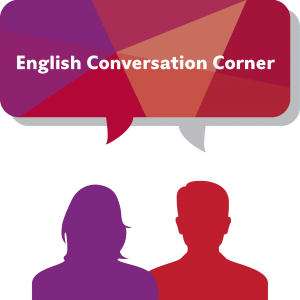 Our English Conversation Corner gives Resident Members the opportunity to practise their English conversational skills, in a relaxed and casual environment. Corners are held throughout the year, on a Monday evening after dinner. We will keep you informed of the dates through the weekly Newsletter. 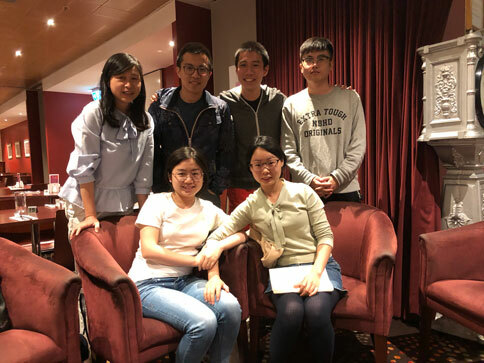 Sally Zheng, Elvis (Kuoyue Liu), William (Bosi Fan) and Youzhi Shen standing in the back row; Lily (Li Li) and Juanjuan Wu sitting in the front row.